A proposal that would create a $100 fine for marijuana possession in Miami-Dade gets its first hearing before county commissioners Wednesday, a key test for a law designed to keep minor pot offenses out of the criminal system. Criminal penalties would remain an option for misdemeanor possession of marijuana, but the change in county rules would give all police in Miami-Dade the option of treating it a civil offense instead. If issued a civil citation, the offender would receive a ticket and not a criminal charge that bring up to one year in jail. Miami-Dade would be the first Florida county to let officers treat possessing small amounts of marijuana the same way they handle littering and other minor offenses, according to local and state officials. The issue is sensitive enough that the county’s mayor is cautioning that he’s not yet ready to back a top police administrator in endorsing the plan. Backers say they don’t want the proposal seen as a move toward decriminalizing marijuana — even though the civil-fine option meshes with that approach. A public hearing on the proposal is scheduled for the 2 p.m. meeting of the County Commission’s Metropolitan Services Committee at the Stephen P. Clark Government Center (111 NW First Street, Miami). If the committee passes the measure, it would move on for a final vote before the full 13-member commission sometime this summer. 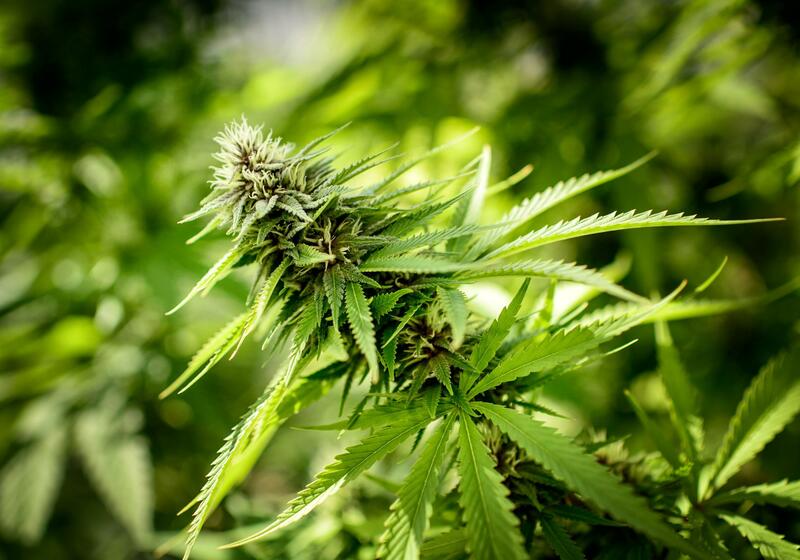 The new county law would carve out a civil citation for possessing 20 grams of marijuana or less (enough for about three dozen joints), along with other misdemeanor offenses that include littering, illegal use of dairy crates, loitering and possession of drug paraphernalia. County officials believe Miami-Dade would be the first Florida jurisdiction to create a civil citation for pot possession, putting the state’s largest county at the local forefront of a national movement against criminal prosecution of minor drug offenses. While Miami-Dade’s police department is backing the plan, the county’s mayor is not ready to endorse it, a spokesman said Wednesday. “The mayor will wait until after the Metropolitan Services Committee meeting to review the legislation before making a decision,” said Michael Hernández, Gimenez’s communications director. Sally Heyman, the county commissioner sponsoring the ordinance, said the idea was to target offenses that tend to ensnare low-income offenders. Current law already gives officers the option not to arrest people for most misdemeanor offenses, but there is not an alternative for a civil citation — it’s either a criminal charge or nothing. County police brass answer to Gimenez and last week the police department’s No. 2 official, Juan Perez, said the agency helped draft the legislation that Heyman proposed. This week, a brief memo to commissioners sent out by Gimenez’s office said the ordinance “is expected to have a positive impact to the Court System.” The memo, signed by Deputy Mayor Russel Benford, said that 59 out of the county’s 4,500 jail inmates were incarcerated for misdemeanors covered under the proposed ordinance. A change in Miami-Dade’s criminal rules would also give the civil-fine option for municipal police in Miami, Doral and all other cities in the county. Miami Beach is proposing a similar rewrite of its municipal code to establish a fine for marijuana possession, which would give it the opportunity to collect penalties its officers impose. Otherwise, the offender would be cited under the county code and that money would go to Miami-Dade, according to a county lawyer. While 15 states have decriminalized marijuana by replacing criminal penalties with civil fines, giving police the option of choosing between the two is unusual, said NORML’s Armentano. Texas provides officers the choice, but only Austin seems to be going the civil route, he said. Some large cities have already carved out civil violations for marijuana possession in states where it remains a criminal offense. He cited Philadelphia and Milwaukee as examples.